* An API key provides access to support and plugin updates for one year. An API key automatically renews as an annual subscription. Simple Comments is a subscription service that ends when your subscription is cancelled or expires. Simple Comments is the #1 most powerful WordPress spambot and hackbot security plugin that will protect your login, registration, comment, contact, and other forms. Forms are the entry point to hijack and gain access to your website. Don’t leave your forms unprotected. Since the public launch of Simple Comments in 2013, not a single spambot or hackbot has been able to bypass the security provided by Simple Comments. No other plugin, or spam service, can make that claim. WordPress login and comment hackbot and spambot form protection. WooCommerce login and registration hackbot and spambot form protection. Spambots are blocked before they fill up your spam folder. Hackbots and botnets are blocked before they hack into your WordPress blog, and before they can register fake accounts. Dramatically reduces database queries, since it blocks spambots and hackbots rather than writing their data to the database. This can give your site a boost in speed, and save you money depending on your hosting plan. SEO hacking is blocked. Link injection is rendered harmless, because comment links are turned into plain text automatically. Cross site scripting (XSS) attacks are rendered harmless in comments. Redirection, aka hijacking, scripts cannot be used in comments. Cross site request forgery (CSRF) is rendered harmless in comments. Brute Force attacks, on login forms, are stopped on the first try, not after several attempts to login, but authorized users are never locked out. Prevents XML-RPC pingback service DDOS attacks. The option to disable all XML-RPC services to prevent DDOS attacks. First, you won’t need to sort through spam anymore, which means you can use your blog for what is was designed for, blogging, e-commerce, or whatever innovative application you’ve built WordPress into. Second, you’ll sleep better knowing you won’t be waking up to a flood of spam, or a hacked blog. If you like the idea of zero spam, then you’ll love Simple Comments. If you have ever used Akismet you know it allows spam to flood your blog until you mark all the spam as spam, and then delete it from the spam folder, a very tedious process. Akismet needs to be taught what is spam on your blog. After all that work, spambots change tactics, and Akismet floods your blog with spam again, and has to learn the new type of spam. All the while it blocks legitimate comments until you mark them as not spam. This can be more trouble than it’s worth. Simple Comments works 100% of the time, which is something Akismet cannot claim. Simple Comments uses anonymous authentication, a technical phrase we created to describe how Simple Comments works. The security built into Simple Comments blocks 100% of automated spam, while always allowing legitimate comments to be posted on your blog, without the need to approve it. Simple Comments takes all the work out of blocking spambots and hackbots. There is another benefit to blocking attackers before they reach your blog. Since spam isn’t stored in your database, it frees up server resources to make your blog run faster, which can be a big cost savings for highly trafficked blogs, and it is much needed relief for low resource small blogs on shared web hosting accounts. Akismet costs $60 per year for 1 blog, and 80,000 checks. Simple Comments costs $29 per year for 3 blogs, and unlimited checks. Oh, and you don’t need to teach Simple Comments what spam is, we’ve already taken care of that for you. There are also larger activation packages that decrease your costs even further. Why haven’t we compared Simple Comments to any of the other thousands of free spam blocking plugins on wordpress.org? Because none of those plugins is even mildly effective, and they block more legitimate comments than Akismet. From the moment Simple Comments is activated you will never have to worry about spambots or hackbots again. It’s not magic, it’s solid security that cannot be found in any other plugin or service for WordPress. Read a few of the product Reviews from our customers to see how Simple Comments has impacted them. The screenshot of the comment form below shows Simple Comments providing security in the background, so visitors will not have to do anything except leave a comment. No matter what form is being protected, Simple Comments does its work invisibly. Simple Comments has been tested against thousands of other spam plugins, and not a single one could block spambots without identifying some real comments as spam, not even Akismet. Simple Comments is the only plugin that never blocks real comments, only spam. We help customers every day stop floods of spam instantly. Many of our customers were previously using Akismet, plus one or two other spam plugins, before they found all they needed was Simple Comments. Unlike other plugins and services, Simple Comments doesn’t fill up your spam folder with comment spam, it blocks spam, so you don’t have to review it, unless you want to. Simple Comments gives you the choice to review spam, or just let Simple Comments block it. Rest assured, Simple Comments will never block real comments. Hackbots are a real and constant threat for any website. Simple Comments will also block hackbots from taking over your blog, and ruining your reputation, or business. Protecting blogs from spammers and hackers isn’t just about giving you less to worry about, or saving a ton of time everyday, it’s also about preventing spambots and hackbots from taking over your personal blog or business blog to ruin your credibility, reputation, and search engine optimization you’ve worked so hard for. Sometimes guests overstay their welcome, but refuse to leave. Commenters can be blocked using the Simple Comments block list. Although Simple Comments won’t send any spam to your spam folder, unless you choose that option, but don’t worry about cleaning up, Simple Comments will do it for you. Spammers leave links in their comments that damage the search engine optimization of your blog. Those backlinks can cause your blog to lose page ranking and other metrics. Simple Comments provides the option to strip out the HTML from comments so those backlinks are transformed from a damaging link to plain text. Simple Comments was designed to scale, so it can handle the largest spam and hack attacks thrown at it without even breaking a sweat. The plugin protects blogs getting over 35 million visitors per month, and more than tens of thousands of spam, and hack attempts, per day. Each license activation will activate updates, and the Simple Comments service, on each blog it is installed on. If you buy the 3 activation package, you get 1 license key to activate Simple Comments on 3 different blogs. We have an affiliate program that allows web developers and web designers to receive a 30% commission on every sale of Simple Comments, if a customer uses their affiliate link to purchase Simple Comments on toddlahman.com. We only accept customers who have purchased Simple Comments into our affiliate program. 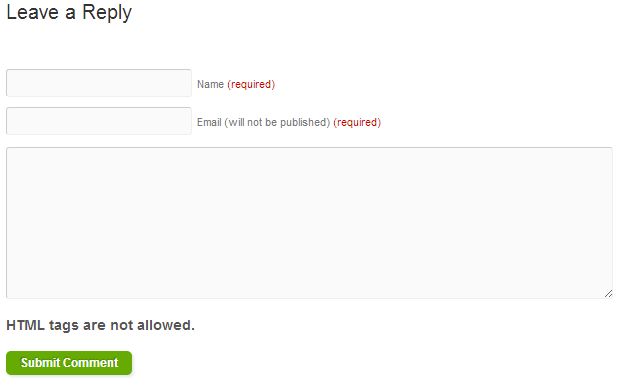 After purchasing Simple Comments there will be a link to sign up as an affiliate in your My Account dashboard. We sell Simple Comments in multi-activation packages to make each individual copy relatively cheap, so they can be resold to clients if desired. We will only provide support to the account/license owner however. Simple Comments is fully localized to provide automatic translation into your language. Once installed, Simple Comments can be updated automatically just like any other WordPress plugin from your WordPress dashboard. If you have never installed a plugin from a zip file before, we will be happy to provide instructions, or to install the plugin for you. Your satisfaction, and opinion of our products and service, are important to us. If you want to get a head start, you can read our how to install a plugin post. Just like it says. Once you install, no more spam comments and backlinks. The best $30 I ever spent on our web site and so simple. Just plug and play, as they say. Works perfectly. I would just like to add that Todd’s support is second to none; superb. He has helped me efficiently and timely over this and other projects after I added this Plugin. He really provides a top service, very impressed. This is an absolutely amazing comment spam blocking plugin. It has simply and easily blocked all spam that my blog was receiving. I don’t know how it does it but it works really well and is extremely simple to setup and install. Also the support and service that I have received has been amazingly fast and really helpful. I highly recommend this plugin to everyone. I don’t know how all the spam is blocked, but it is. Like magic. I went from getting up to 20 email comment notifications a day (from spam) to getting none. Better than Akismet, in my opinion. I get a lot of traffic on my blogs so it really has helped with the bots. I’d recommend this to anyone with an active blog. Before Simple Comments I was receiving all kinds of bogus comments on my blog from all over the world. Since Simple Comments, not one has gotten through. It’s a small price to pay for piece of mind and integrity of content. Thanks! I will take this chance to tell you how beautifully Simple Comments work. The spam comments went to zero, just as you said. The site does not get many real comments, but just a couple days ago, the ONLY comment to comment to come through to moderation since we installed Simple Comments, WAS a real comment, now approved and on the website. I’d used Todd’s Spam Free WordPress for a couple of years and was very impressed – some 14,000+ spam comments were blocked! I had no hesitation at all in upgrading to Simple Comments last September and I’ve not been disappointed. Further, I’ve implemented it on my wife’s business website, and have also implemented Todd’s WooCommerce there too. Summary: Brilliant products, good documentation and rapid support response on the (only one) clarification I needed. Highly recommended! I’ve been using Simple Comments on all my sites now. No Spam gets through. No spambot registrations. Nothing. Nada. I don’t know that I can say much more than what’s already been stated here. The plugin does what it says it does. Since installing on a couple of blogs, my comment spam has dropped to virtually nothing. I like to be able to use the default comment form and all that in WP, but nothing has quite cleaned up the problem of spam like this plugin. Highly recommended! One other thing. Support is personal, quick, and helpful in my experience. You can’t ask for more than that. this product is awesome – above and beyond what i expected. great – excellent – supreme! customer service. Checking my Journal this morning it shows “18,630 Spambots Blocked by Simple Comments” – I could not ask for a better service as it never ever lets anything through, Simple Comments is a stunningly good product. I was being plagued by a growing barrage of spam, which I had to sift through because genuine comments were mixed in with them. I found Simple Comments, subscribed, and my life has been greatly simplified since then. This has saved me a great deal of time, and it is well worth the subscription price I paid for it. I must say, I used to LOVE the Spam Free WordPress plugin that Todd had previously provided. Even though I was disappointed that it was replaced with the premium Simple Comments plugin, I must honestly say this is a wonderful plugin that absolutely works! It’s a great deal at $29 per year. In less than 1 month it has already blocked over 12,000 spam comments, and over 1,500 hack attempts to register as a subscriber. I used to spend hours trying to stay on top of the spam problem. Then I woke up and decided my time was worth way more than $29 per year. Get this plugin – eliminate blog spam and hackbots. I am extremely satisfied with the product as all spammers have disappeared before they even get to the spam folder. I am also very impressed with the speed and patience on sorting out some of my initial problems. I gladly recommend your product to anyone. It seemed to do the trick just as advertized along with deleting all unnecessary plugins the mayhem has stopped:-). I just admit, it just plain old works. Sweet! The “Spam Free WordPress” program I had before had done a great job, filtering out sometimes a hundred spam comments daily. But a few comments, mostly from European sources, had begun to sneak in again recently. Since I installed “Simple Comments” my site has been free and clean of spam, period. It does its job in the background quietly, eliminating all spam comments, thanks to Todd Lahman and his crew. I have been very pleased with Simple Comments. Also, Todd Lahman does an excellent job in responding to questions promptly and succinctly. Thanks and God bless! Excellent software. Since I’ve installed it I haven’t had any spam issues. Was getting a few spam messages a day using “Spam Free WordPress” and I could tell the spam was slowly increasing. After switching to Simple Comments, I have not seen one spam message come through, but legitimate visitors are still posting. Great job. So far no spam so big thumbs up! Simple! and it works. That says it all. Does what it says. Blocks comment spam. Saves me 10-15 minutes each day trashing comment spam. Good so far, thanks Todd. I had incorporated Todd’s free spam-blocking plugin on a few sites and was happy to pay the reasonable yearly fee (cheaper than Akismet) to continue to effectively eliminate spam from the sites that I manage. The setup was a piece of cake, and while the plugin has some good advanced options (if you require them), you’ll likely get rid of any spam issues with just the basic settings. Great tool and a big time-saver for site moderators! I just purchased your plug-in. Very easy install, and in the first 5 minutes, it already blocked 3 spam. Thank you!!! Getting up to 100+ spam comments per day, and moderating them was insane. I have more to do with my time than deleting spam. Thank so much! This is a wonderful tool, and already made life easier. I will gladly renew again next year, and the small amount you charge is well spent. I recommend this Plug-in to everyone needing to block comment spam!